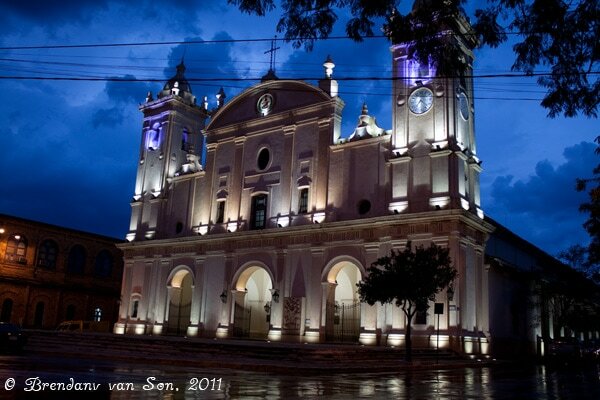 I have a confession to make: I like Asuncion. The capital of Paraguay sees very little in terms of tourism and is more often than not left out of the plans of travelers to South America. A certain few skip through on their way from Iguasu Falls to Argentina, but few actually stay and explore the city. The truth is that Paraguay has done little if anything to promote tourism, and it shows in the lack of visitors. Those who decide to spend a couple of nights in Asuncion often ask the same thing: “what is there to do in this town?” Most do very little aside from planning the next leg of their journey. Upon my arrival to Asuncion I thought the same. I was told of a large botanical garden where there was the potential to see wildlife on the outside of town, so I decided to jump on a local bus and make my way that direction. Although the gardens were a bit of a disappointment and the wildlife I was promised came in the form of a zoo which kept its animals in painfully tiny enclosures, it was the bus trip where I feel in love with this city. Some might call this city a faded jewel: the reminiscences of a great city stand in the form of large mansions and colonial buildings. Much like watching an episode of the golden girls you can just sense that there was rich beauty at one point in Asuncion. And although the exteriors may have begun to fade, the pride and confidence has never left, nor will it ever leave. Looking out at the streets covered in dust and the mansions which are coated in fading paint and burnt from the fumes of the street’s traffic easily drags the imagination from the view’s mind. It is fun to look back and imagine what a fading jewel must have once looked like in its prime. I’ve always tried to maintain the curious and creative perspective while traveling, guarding my naivety and my child-like sense of exploration. In Asuncion, my mind seemed to run on overdrive. I could see the wealth that the large colonial houses must have once held. Home to the elite of a society advancing as one of the most powerful in Latin America before overextending the reach of its powerful hand a little too far. In the down town plazas, now home to rudimentary housing put up by the poor, you can almost see the horse drawn carriages trotting along. At the old government houses, which still glow proudly in artificial light to this day, I can almost see popular dictators walking out to greet their adoring subjects. Things have changed in Asuncion since the early days of colonization and later independence. Dictator after dictator has fallen, one of the stronger economy’s in the early days of Latin American history as slowed to a point where it is now the second poorest in South America and the buildings that were once grand have grown shriveled and stained. One thing that hasn’t changed however is the pride of the people. The people of this Paraguayan capital stand tall, speak of their home as if it were heaven, always take pride in how the dress and are eager to show the beauty of their city. Asuncion is not a diamond in the rough, it is a pearl that has begun to fade in the confines of the jewelry box of one of The Golden Girls. “Asuncion is not a diamond in the rough, it is a pearl that has begun to fade in the confines of the jewelry box of one of The Golden Girls.” Haha best sentence I’ve ever read! I spent 20 minutes thinking for an end to that sentence… Then I thought ”what the hell” I’ll write exactly what I’m thinking. Excellent well written review of a city in its golden years. At some point though I would think it would be necessary to modernize a bit. At least you found some wildlife on top of a park bench. Great write up. From your photos Asuncion looks very lovely. Even if it’s a little faded that might not be a bad thing. After all travellers often look for those “off the beaten path” destinations. Who knows, maybe in five years Asuncion will be overrun with tourists and you’ll be glad you went when you did. Thanks Dalene, and you’re right it is pretty similar to Sucre architecturally. However it is WAYYY bigger. 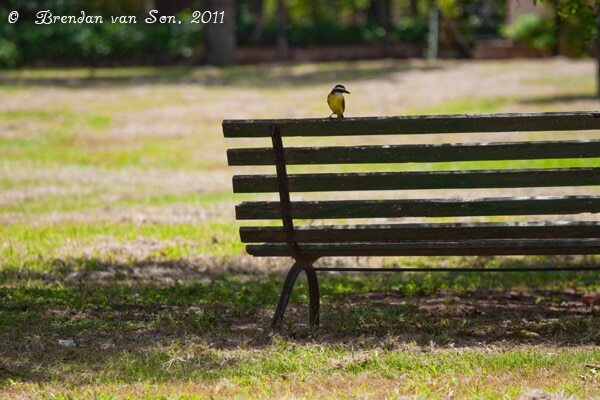 You capture Asuncion on these beautiful amazing shots! 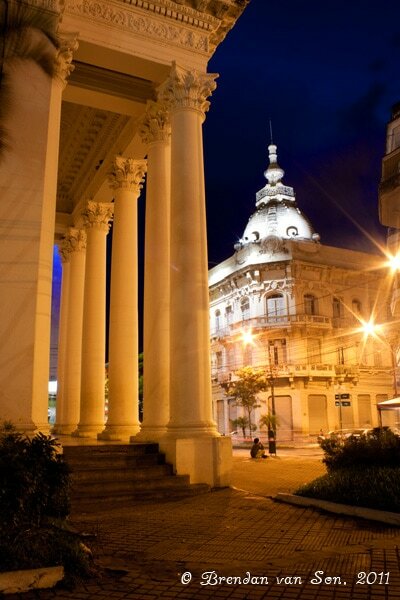 I loved reading your article about Paraguay/Asuncion. Love hearing an outsider’s view of the city my father once called home. I visit Asuncion every summer and there is a reason I come back each time. The city calls me back each time, and with each visit back, I find that I love the city more and more. Thank you so much for sharing!